Installing Kodi 18 Leia to a Fire TV Stick is not difficult and does not require a computer or any other device. 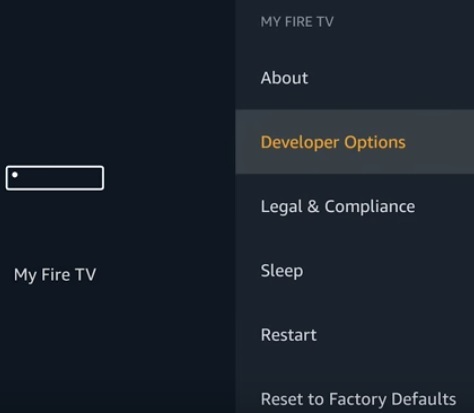 A computer can be used if the main install method does not work for your Fire TV version. 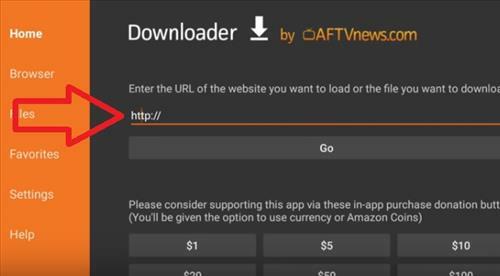 The first method does not require a computer only an Amazon account to get a free App called Downloader. A free Amazon trial account can be used if needed. 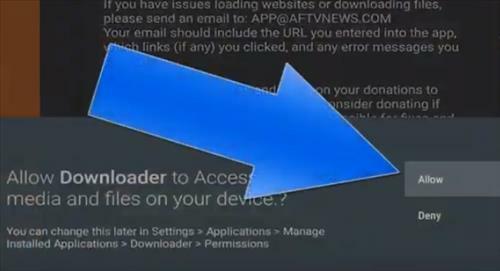 The Downloader App is used to go to the Kodi Download page and get the necessary install file. This is the most popular method and the most widely used. There have been a few updates that have stopped some previous methods from working with the Downloader App method working very well. 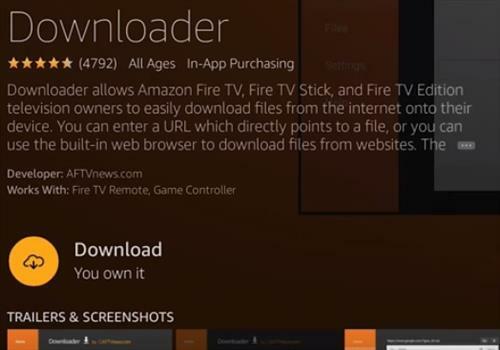 The second method uses an App called File Commander which allows a computer to copy files to a Fire TV. Installing with a computer is not usually used since the first method works very well. 3… Does Kodi Work Well With the Fire Stick? 5… What is an Addon? 6… What is a Build? 7… Should You Install a Build or Individual Addons? Using a good VPN with Kodi is always suggested for privacy and security. If you need a good low cost VPN to use with Kodi Try IPVanish it has multiple high speed servers with no throttling or logs, along with an easy to use Fire TV Stick app. 6… Click to the left for the search option to come up. 21… After it downloads click Install at the bottom right. 23… Kodi will now be installed. Click on Open at the bottom right. If Kodi does not show up in Apps after closing it go to Apps scroll to the right to See ALL and scroll down to find Kodi. After Kodi is installed Addons will need to be added to watch movies and TV shows. Popular Add-ons include Magic Dragon, Maverick TV and many more. Add-ons can be installed individually or there is Builds that come with all the best plugins that install everything. Read Here for the Top Kodi Add-ons and How To Install Them. 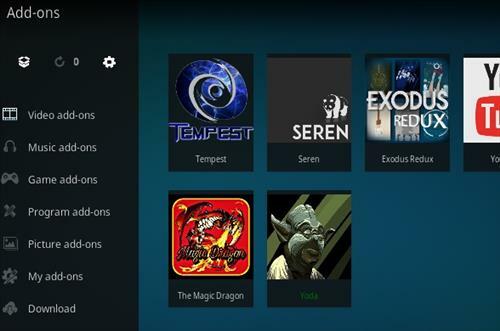 Read Here for the Top Kodi Builds. 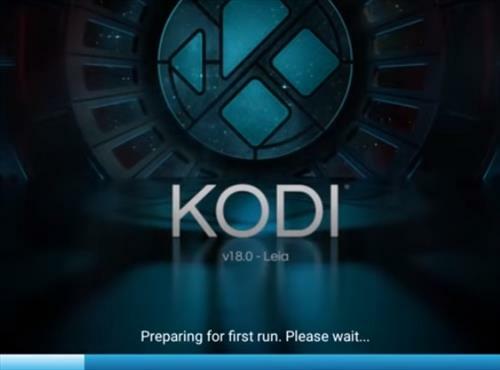 Kodi is a media center that is free to use and install. Since it is free to use and can play most any video or music file it has become very popular. It is also very easy to modify and change the interface and other features. Does Kodi Work Well With the Fire Stick? Yes, Kodi works well with the Fire Stick. It does need to be side loaded with another program since it is not available in the Amazon App Store. While the Fire Stick runs Kodi its low cost hardware can limit it at times with many other options available. An Addon is a program that can be added to Kodi to expand its abilities. There are many popular Addons with the most popular being Video plugins that stream videos. A Build is a pre-setup Kodi install that comes with all the best Add-ons and artwork. Anyone can create a Build by backing up a Kodi setup and sharing it with other users. While Builds are nice they do come with more code and artwork that can slow down an install on a Fire Stick. Most will only need a few good Addons. 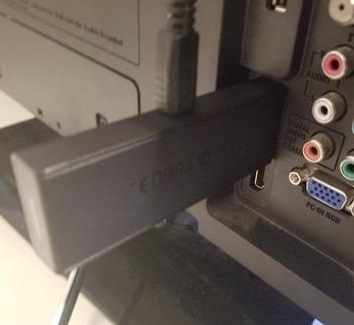 If a Build is used be sure it is made specifically for the Fire TV Stick. Should You Install a Build or Individual Addons? While Builds are nice, since they come setup with all the latest Addons, often it is best to simply have 3-5 of the top Kodi Addons installed. Builds always come with more code and artwork which can slow things down. Installing a few good working Addons is all that is really needed and makes for a faster performance. With that said many there are many good Builds that work well. I keep getting parse error when trying to download, what is this and how do I get past this so the download will finish. I WILL LIKE A FIRE STICK IN TORONTO HOW MUCH IT WILL COST ME INCLUDED TAX. I found the Downloader app under Utilities in the app section. Everything worked from there. I have no search function on the home screen. followed the non PC version to the letter and it worked perfectly, cannot understand why so many cannot get past certain points. Excellent tutorial. If you get a low storage message do a system restore make sure you don’t have photos or anything else you want to keep. System restore will wipe it clean you will have to reinstall Kodi but it will free up a lot of space. I have 4 firetv’s and installed kodi on all of them . Kodi does not show up as an app ANYWHERE on ANY of them. I have to go in to settings>manage applications>Kodi>Launch every time to launch Kodi. I have long pressed home and went to apps, I have went to the end of my apps and “showed all”. It is not showing up. Anyone have this issue? I have done everything like I was supposed to, but I try to watch something and it says no streaming. Any ideas? Amazon Fire stick. i’m an amazon customer should i create a new account to download Kodi or is it “safe” to use the existing one? Sounds like all of you haven’t registered or gotten on wifi yet…. I downloaded kodi 17.6 and it keeps saying version check failed. I have to Open Kodi as a fresh install every time. Any suggestions? Thank you for an incredible step-by-step process that was easy to follow and worked!! Freezes at step 23. Says”Dowload started” but nothing happens. Brand New HD firestick- we are trying to jail break it like our other firestick-, but when I reach step 21 nothing happens when I press the Android avatar. Any suggestions? 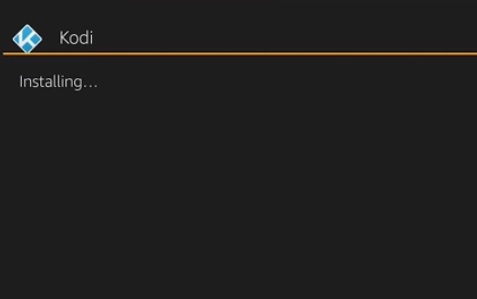 Same here – as others have mentioned, you can install the Kodi .apk file from ES File Explorer. 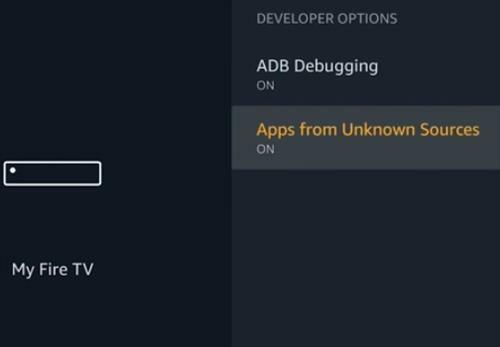 So – I downloaded the ARMv7 .apk file onto a Windows PC, uploaded to a location that the Firestick could access (WD My Cloud) and installed it from there via ES File Explorer. An unknown error has occurred. Check your URL and connection. I am connected to the internet. I received the same error, but was able to get around this by installing the downloaded apk through es explorer. Just got my new firestick and Can’t seem to get past step 21 the Android . I presd it but I dpn’t get the screen to make ybe nect dtep. Can ypu help? Same thing happens to me. Did you find a fix? ES File Explorer works to load any Kodi. This work around might be the new norm. Thanks oconnk. 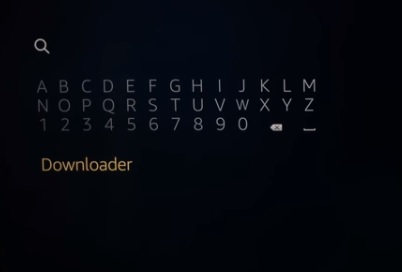 Use the Downloader App to Download Kodi, and Use ES File Explore to Install it. Trying to use this on the new fire tv. It keeps telling me that there is no app to perform this action. This is when i click install after the apk file is downloaded. it back on, is the Downloader not working? I have my Amazon address password in the stick. while trying to download the downloader app. at step 10 I get a prompt of purchase problem, need to enter mailing address and info, I thought this was free?? what am I doing wrong. it won’t let me download the app. You are “purchasing” it at a price of FREE. Doesn’t mean you’re paying money. You arent signed up for amazon. You are required to register an account. The purchase price is free. 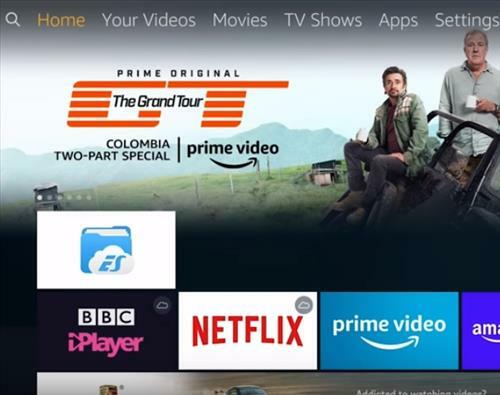 If you dont have an amazon account you will have to make one, which requires registering your address before you can “purchase” the free download. I can’t get past Step 23. 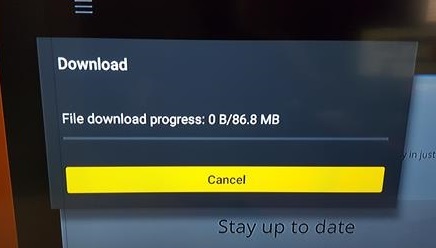 It has the “download started” page, and says “downloading Kodi” but no pop-up window indicating progress. How long does it take? Many thanks! I cannot get the Kodi app to appear on the main screen, or in the apps list, I have opened it by going thru the settings tab five times. Any suggestions? loaded Kodi v17.6 on new fire stick but upon loading Kodi constantly flickers to a black screen; I have VPNVanish installed, cleared cache and turned hardware accelerator option to “off” position. Nothing worked. You got to add a billing address to your Amazon account. Why do I get a message “no stream available ” when I try to play some movies? Has anyone answered this question? I have the same problem. 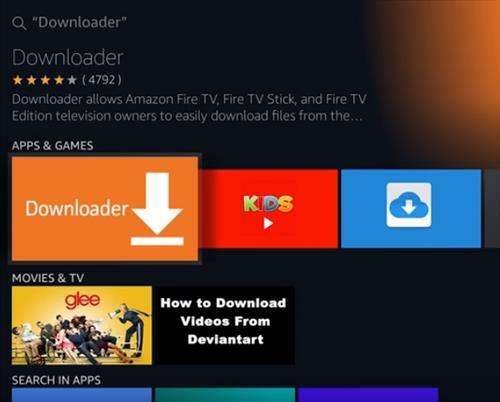 Downloader is not connecting to Kodi website with Fire Tv. Have tried multiple resets and still not connecting. I was able to connect our living room fire tv last night and everything installed great. Not today on our other fire tv. We have two. Someone have any ideas? Is amazon blocking this? I am having the same problem. Were you able to find a way to fix it ? I have installed and uninstalled everything because I keep getting the message “cannot connect to network” or something similar and I check to make sure I have the URL’s correct. I do and then nothing, I can’t run the zip file. It’s somewhat disheartening to say the least. Any ideas. I’m about to give up and smash this thing into pieces. I’ve added Kodi and the icon is on the home screen , but how do I get movies to play? You have to load Kodi with content, it comes empty. There’s a learning curve. Ask any question on a google search, and you’ll find all kinds of help. Start with “getting Kodi set up for the first time” There are super generous & knowledgeable people out there who take the time and effort to post easy to understand help. Having trouble with my fireTV Stick with Alexa Voice. I’v tried loading kodi 17.4 but I get a black screen after pressing OPEN after INSTALL. I’ve even Installed previous version 16.1 and Kodi loads and opens OK but when I try to add ADDONS I get server errors. I have no problem with Kodi working on all my other devices except the fireTV Stick with Alexa Voice. Can some one please help. Spent way to many hours on this and I’m starting to give up. Downloaded 17.4…runs but movies buffer out and audio is often out of sync. I have 22 meg down on wifi to my Firestick which is about two years old. I cleared cache constantly not really much help. Are the streaming sites that bad now or is it the download 17.4 bugs. I ahve been working on it for a week. Seems like the first version I had was much better. I have installed Kodi to my firestick and it appears to work but when I have added the addons and then go to install from zip files that is when I have trouble… It shows the names of the addons that I have attempted to install but when I click on them there is nothing there? I get an error message something like a network connection problem??? Any suggestions what I may be doing wrong? need to use the 32bit version. I’ve gone to “get ” button and it tells me I do not have a valid billing address. Went to amazon. Com/ mykps and I have billing address. It will not let me go any farther. What’s up?? Hi! I can’t figure out how to add kodi app to the home page, I’d like it there where all my other apps are…also, I can’t get es download manager on firestick. Thanks for taking the time to help. Is there a link to the video instruction? Good job! Installing Kodi and the plex add-on fixed my direct play failed issue. 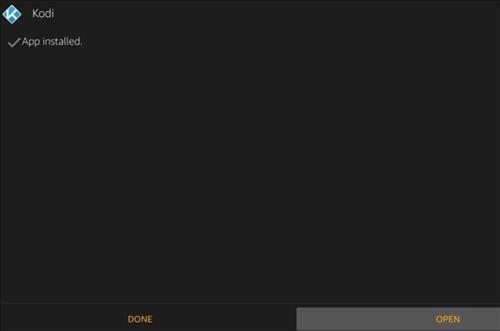 Plex for the Firestick would require transcoding of all movies causing choppy playback. Thanks for this post. My fire tv stick is jailbroke and came with a generic Amazon account. It will not let me install anything including downloader. It says to update payment and address to the generic account. I’m so frustrated and lost. Help! Thank you. This tutorial was a big help installing kodi. I had no problems until I got to the add-ons. I can’t add Exodus. Please help. Thank you. Exodus has been replaced with Covenant. It’s the same thing. Thanks for providing clear instructions with the screenshots! This is great for someone tech challenged like me. You mention using IPVanish. At what point and how do I use it? Should I only use it for the download or do you recommend using all the time? Thanks to anyone who can help! Thanks for the info about holding down home button for 10 seconds to get apps to show. I couldn’t get the Kodi link to show up on home page, but that got done after I clicked on Kodi. I was almost ready to try loading Kodi the old way,since downloaded wouldn’t put the link on the home page for me. Very nice. Thanks for the instructions. 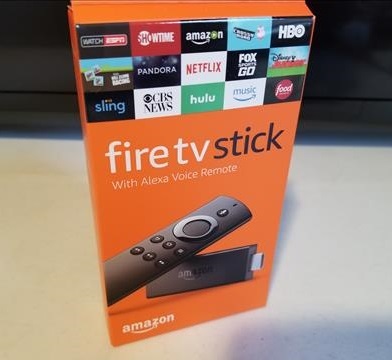 I bought a brand new firestick with Alexa voice. I went step by step to install the Downloader & KODI , at the end a box cam up stating that I did not have internet connection… I checked and I did. I have the two icons in the app section for downloader and KODI. I then tried to add on Exodes, Fusion and was not able to… so then I went to add on Ares Wizard.. It showed was downloading but then never exported the info. I do not know what to do next. Anyway of checking to see if the KODI is (or has been ) Completed on the stick? I read that you should not uninstall KODI, It that true? Am I able to uninstall everything and start over? Hey just what I was looking for! You guys are great your steps where perfect to get Kodi going on my firestick! Thanks! Your video was easy and self explanatory for those new to programming devices. Thank you for taking the time to educate and share your knowledge. It keeps saying need to update billing address before being able to download , downloader app ? Help ? Log into your amazon account and updated credit card on file. Your credit card may have expired. Don’t worry it will not bill you for updating. 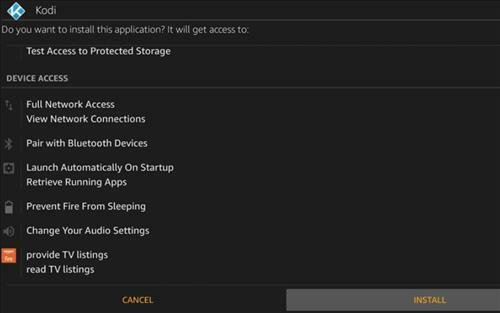 My fire stick dose not give me the app ES explorer…. is there a nother way around? Or why my fire stick is not giving me ES explore ? 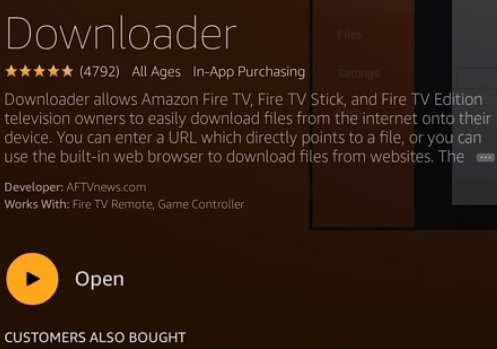 Use the downloader application from Fire Stick. Do not need ES Explorer. 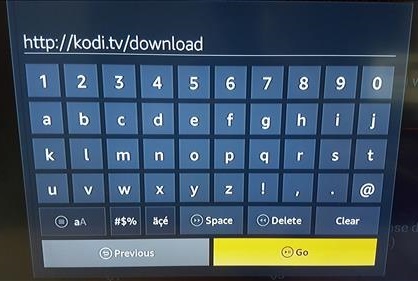 I get to #13 and have no key board to type in the kodi link after http:// How do I get a key board with the remote? Im stuck at the download after typing in the Kodi url. Just keeps saying connecting. Did you ever get that figured out? Same with me…..I get the Connecting…. Screen and nothing happens after several minutes. How do we resolve this issue?? All of the steps were fine up to the point of installing from the zip file. Once I click on “install from zip file” there are no options there. I’m stuck here. Can you please help me ASAP to find out why there’s are no options in the zip file? I ran into the same problem also last night. I’ve installed Krypton 17.x multiple times and I’ve never had this issue. Any help would be appreciated. Im stuck here as well. Did anyone find a fix? 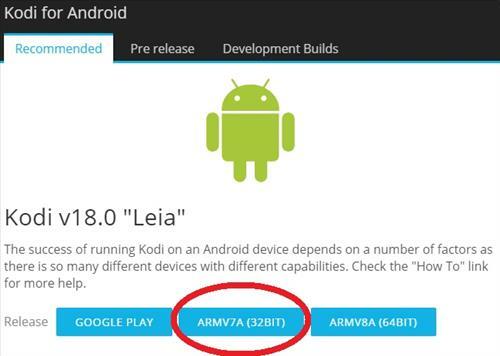 Can you tell me how I can get ARMV7A (32Bit) version to install? I followed the direction above as listed and it won’t install. Super easy! I had it installed and ready to play a movie in less than 15 mins! Thanks so much! The only thing is that it doesn’t show up on my main homepage. Does anyone have a solution? What do I do if downloader app doesn’t appear? I followed your every step, but when I get to “open from zip files” the icon is red and when I click on it I don’t get the choices you get on the video. What am I doing wrong!? Excellent video tried several videos was not successful until I ran across this one . Unless I misunderstand your question, what you need to do is this: When your cursor is on the line underneath “Enter the URL that you want to download” (see step 13 above), click the select button on your remote (it’s the middle or inside circle on the remote). This SHOULD bring up an onscreen keyboard. 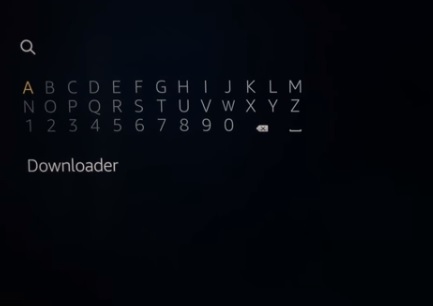 You can then just move the cursor around and type what is needed (http:// kodi.tv/download). 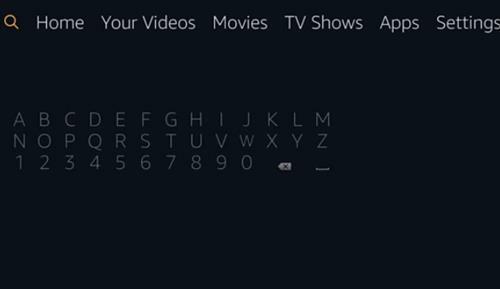 This is how you’ll type many things on the firestick. Think of it like text messaging on a phone. You’ll bring up the onscreen keyboard when you click on the empty text line. I get all the way to the the box part in the addons, but once I press spins, nothing shows up in the next screen except 2 dots. Install from repository is not there. What am I doing wrong? Please help, I got a “spinz tv wizard error” How can i fix it. I had no problems installing until the end. I got a “Spinz tv wizard error” What can I do to fix this???? I had kodi TV,with hard NOx and exodus installed several weeks ago, worked great. Yesterday when I went to watch movies a notification came up that update to spin TV. Not having updating anything yet , it appears I pressed the wrong install selection “fresh install” . Now I’m trying figure out how to get the movies back. Can you help me?? Hi, i just bought a refurbished firestick and im unable to download kodi 17.3 the firestick is kind of updated, it gives me 2 settings options the old one( classic) and the new one( updated) im able to allow unknown source on the new version but not on the classic version, it says unable to allow unknown source. Please help. My moms fire stivk wont go pass the download part if she factory resets it. Dose she just staft over tthe steps to get kodi she had the old version but now she want kodi 17 help!!!! Following your method for Kodi 17.3, I get to the same point, ‘Preparing to run for the first time…please wait. then it returns to the download screen! I have attempted fresh install about 5 times and via ES and downloaded and the kodi site. I’m getting same error sue! Have you gotten a response to this? Same issue here, any luck? I did all the steps but when I click on Kodi I get a message saying “Your library is currently empty. In order to populate it with your personal media, enter “Files” section, add a media source and configure it. After the source has been added and indexed you will be able to browse your library. Do I need to do some other steps to be able to watch movies? This is a great instructional video! Very easy to understand and follow along. Thanks! great job, thanks for the help. Great job, you did that!!! Thank you soooo much!! Worked perfectly! Steps were precise and easy to follow. Thanks! Great video! Easy to follow. Well paced steps. Thank you so much! Any idea how to live stream horse racing ( like cable channels TVG or HGTV)? 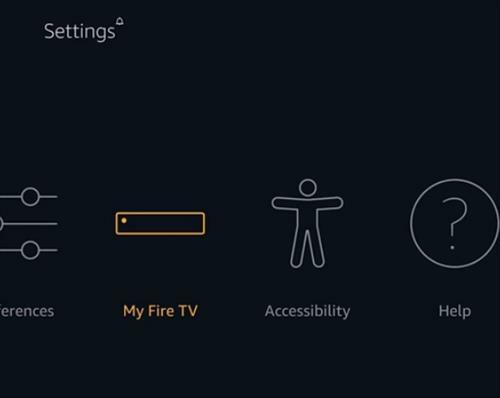 One correction due to Firestick UI change: step 2 the settings/system is now Settings/Device. Awesome! This was so easy to follow along. I like that you did it in real time, makes it so much easier to keep up. Thanks! Does this work to upgrade from 16.1 to 17.3? Love this video. Instructions so easy. I’ve tried a couple of others and gave up until I found your video. Thanks. I have tried installs of kodi on amazon firestick using several guidance videos. This was BY FAR the best I’ve ever come across. The clear step-by-step instructions are second to none….great job!!!! Great video very helpful super easy to follow. Go to the link for old releases, then click Android, then ARM, then click on the newest, as of now it’s from March. Im having the exact same issue! And then i get a “unsupported browser link” message when i try the “open in browser” tab! I downloaded the file with my laptop. Then i shared the directory with the files. After this you go to ES and connect to the laptopshare. Now you can choose the file and install it. You are awesome!!! Tremendous video!!! I know nothing and you walked me thru it!!! Hi all, please can anyone help….I have watched loads of videos on how to put kodli on the fire stick I tried through es..file …downloader, I get kodi on fully and I can even get a build, but I can’t get any open links or streams on anything exodus salts velocity Zen….same message ..on all no stream available no links..i have gone through tools and removed as suggested but still nothing….is it to do with my connection …I don’t have a vpn..
You are freaking awesome! Thank you so much! Hey thanks a lot, i bought a new fire stick and it wouldnt download, install couldnt highlight the android etc, tried apps to fire etc, came across your video instructions and bang- sorted. Nice one. Great video! Thanks for the easy instructions! Everything was great except for I cant seem to play any content. Any suggestions? Thank you so much your instructions were right on my question is iif I get a add on your provided will I still have my build? Thanks so much you are the best!!!! Already configured uth everything. $45. I had tried four other jailbreak instructions and all four had different steps. I was getting tired and ready to give up when I came across this one , I figured I would give it a try . The instructions were very clear , she spoke slow enough that you did not have to back the video up every two seconds. I followed it step by step and every one was right on the money. Try this one and you will not be sorry. I made it to step 12, but there are only the various icons (linux, apple, android, etc) but no visible links below each icon to highlight or select?? It looks slightly different than the screen shot, but basically the same. Am I in the wrong place? Should I try and reload kodi? And if I ever see links below the icons am I suppose to choose the android ARM? I’m having the same problem! Did you ever figure it out? had same problem. watch video on top of this page. she shows you how to download “downloader”. this app has a cursor that you use to click on the android icon. I got as far as installing Kodi. Then it gives me the option to open. When I go to open it shows the new Kodi screen, then it says “clearing cache” then “preparing first run” then it goes back to the downloader. Thank you so much for your clear and concise instructions! I would hedge never figured it out without your directions. THANK YOU!!! I previously had this jailbroken for my mother and father before my mother decided to update the system and cause Kodi to fail. This was so easy to follow and works great. I really appreciate you posting this. Thank you again!!! Im trying to upgrade and I get the kodi webpage to install it and my Amazon remote won’t let me click on any of the platforms to install it! I see a yellow box on all the things I can click on on the website, but I get down to the platforms and it won’t click/highlight them?? Please help!!!!! Someone! This was a fantastic video…thank you SO much! Can’t wait to try it out! Has ANYONE figured out why 17.1 won’t load after being installed after this new Amazon update? I was running 17.1 beta, then the Amazon update came last night so I updated to the stable version of 17.1 but now my firestick won’t start Kodi…i got the “initial load” message but then it goes to a black screen. I’d really rather NOT delete and reinstall…i had a really nice customized install of Titan and I don’t want to have to redo it all…even with the Titan backups I’ve saved. Anyone figure this out yet? Oh God that was fantastic….it was your soothing voice that got me through this! It was successful for me however I can not figure out a way to save the app quick link to my home page. I have to go to my settings > manage installed apps > Kodi and launch how do I just have it on the main home screen? Thank you so much! I’m new to Firestick, Android, and Kodi. Could not have done it without you! Just wanted to say thank you so much for posting it saved me a lot of money I didn’t really have to pay someone else to do it so thank you. Hi, help anyone. I thought the video was great and very easy to follow, although something went wrong as it`s not installed. I got to the page where the three dots were highlighted to clear the cache, packages & thumbnails, then after clicking the build menu option, there was no builds in the build menu, the page only showed 4 lines. Text file for builds not formated correctly. thanks Sally – worked perfectly! 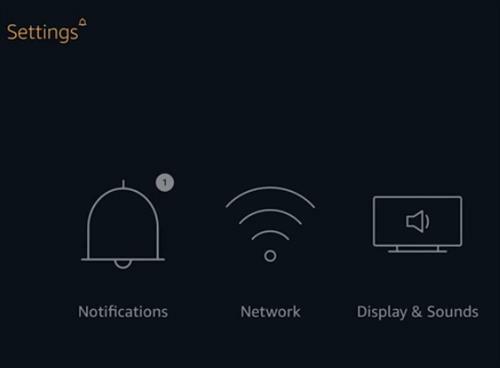 Anybody figure out how to do this on the new Fire TV box? This video was awesome, perfect directions even a two year old could follow this. Thank you very much. Using your directions, you can go to android, arm, kodi 17.1 🙂 thank you! I’m using the original fire stick. I Went to the older releases as recommended and it’s still not letting me click on it. Any ideas? I just watched the entire video and did every step including adding the build. I don’t like the build and need to know how to restore to default. Anyone know how to do it? Please help! Use to have version 16.1 now updated to 17 but having problems still watching movies like get out (still cam copy) but can get newer movies are fine any tips please. This is seriously the most helpful how too on the internet. I’ve been trying to get kodi on my firestick ALL DAY! Seriously, this is the only you tube video that got me there. Thank you so much! I get as far as trying to download kodi, but the Web page it brings me to istop not showing any download links. Only the different sources. How do I get the file links to appear? Did Kodi redesign their webpage? I can’t click on the android icon to download ARM. I can if I use a PC but on fire stick. Brand new firetv with alexa. Can’t access android version to download kodi. I can’t even get Jarvis 16.0 to come up! After step 10, entering https:// kodi.tv/download and navigating to kodi for step 11, instead of being brought to the download page, I’m receiving an error that says “the page you are looking for cannot be found”. I have also tried “http://…” – does anyone know what to do? 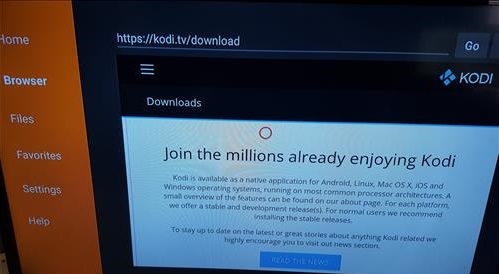 I’m having a similar problem but after step 10 it takes me to a promo type page for kodi that says “join millions using kodi” & won’t let me scroll for android icon? Your issue is my issue. I can’t cluck the Android icon. I can’t find kodi 16.1 Jarvis, all the ones I have are 16.0.. I refreshed it to see if I get the 16.1 but nothing. I cannot even get the 16.0 Jarvis! I have the latest fire tv box, just got it today. Did everything exactly like you showed, I get the page you are looking for cannot be found. Any ideas on how to fix this? When I tried to download webpage.. could not be loaded because,,…. net::err_connection_refused. What would I do. This is for Alexa Vic, 802.11ac memo wifi, 1080p he, quad core. Is this amazon fire stick not jail breakable? Everything worked perfectly with the current (at least for me) Krypton 17.1 version of Kodi. Like a couple other people have said, there is a little bubble that appears on the right side of the screen in Exodus. Is there any way to get rid of it!? If not then it can definitely be lived with, but it would be nice if it was gone. Any help would be awesome, thanks! Do you have to have a smart tv for this process? after i installed kodi exodus and fusion i still cant watch anything without signing up signing in or pay some dues what else do i need to do so i dont have to pay for all those apps? Is this done on the TV or on a desktop please? I’m trying to add new file source (Fusion) to Kodi, but it keeps giving me error: “Couldn’t retrieve directory information. This could be due to the network not being connected. Would you like to add it anyway?” I click on NO and ensure that the URL is entered correctly, and it is. I click OK again, and it just goes to the File Manager screen and acts as if Fusion is loaded fine. Subsequently, it’s also not letting me go into any repository, even the Kodi Add-on repository. This is installed on a brand new Amazon Fire Stick – just bought it today – and I’ve tried uninstalling and reinstalling Fusion, Kodi, and resetting the firestick. My internet is working fine and Kodi works fine on my laptop. Any thoughts on what may be going on? I figured it out; well, I at least got it installed. It wasn’t working with the new Krypton version. I installed Jarvis and it worked perfectly! How’d you get Jarvis? I only see krypton. When I load Kodi I get this Message which says “Your library is currently empty. In order to populate it with your personal media,”……….. I got all the way to the end, and instead of Kodi being installed I am getting a message of App not installed. All instructions were followed step by step as laid out. What do I do now? Hi Kim I’m having the same problem did you figure it out?? Followed instructions to the letter. After completing all the steps I clicked on my Kodi icon and all I get is a blank screen. Help? I have the same issue. Everything loads, then starts to fire up for first time use, then the screen just goes black and nothing happens. I can find this, but none of the options are highlighted, so I can’t click on full access network. When i get to Kodi, all i have is Kodi v17.1 “Krypton” version. There is no Jarvis. Suggestions? I just received the new fire tv stick. Followed all you structions got to install to zip file went to fusion then click begin here and only one line came up plug in indigo 1.0.2zip. I can’t got to wizard. What should I do ? Load Indigo. It’s the new configuration wizard. Works well. Current release: Kodi v17.1 “Krypton” Release Candidate. same issue thinking i made a mistake in buying fire stix. seems to be a big waste of money. I have the same little circle on the right side. Did you figure out how to get rid of it. Or am I stuck with it? 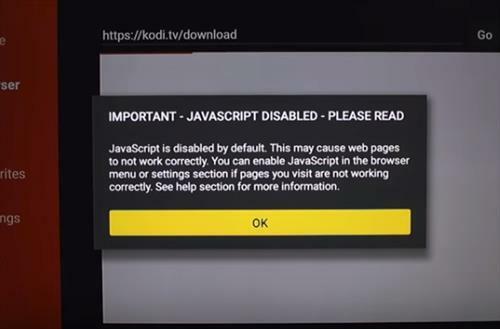 To find Jarvis 16.1 you have to continue clicking Down through the kodi webpage. Towards the bottom there is an option to click an older version. in case you have trouble scrolling the screen With the remote, You can open any URL that leads directly to any .apk file with es explorer instead of trying to navigate web pages. 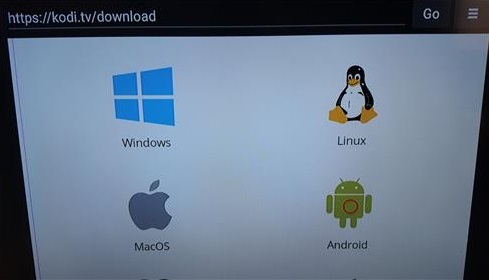 I can download Kodi until it gets to where you’re supposed to download Jarvis only problem is Jarvis does not exist on my Version I have 17.0 krypton. Please help. I got kodi and my build on but it kept kicking me out to the Amazon homescreen! I get as far as installing kodi the first time and when i git install the 2nd time its says it cant be installed. Could someone help me please. Works perfectly! Thank you! How can I add Exodus via Kodi to my recent file? A short cut would be great. Did you follow step #3 and turn on the function that allows the device to install apps from unknown sources? Just got new stick and it does not let u open ES File Explorer. I got ES open but i wont let me install kodi….says I don’t have permission to install unknown apps. You need to go to ‘Settings’ and enable the ability to install from unknown sources. You don’t need to use ES FE on the new Fire Sticks. Use Downloader and the included browser. 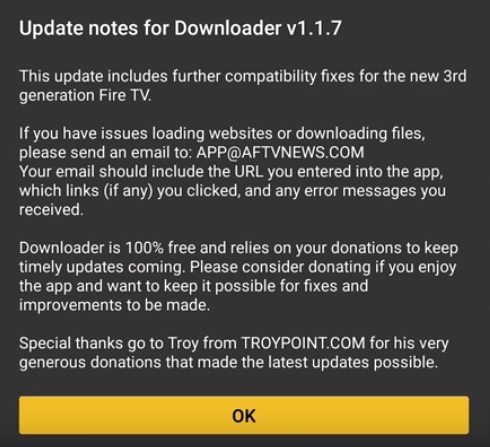 Use the TroyPoint instructions. Followed instruction word for word… worked great for me! ?????? I got to the last part of installing ARM….but I get a message saying it’s blocking downloads from unknown sources. I think it’s because of the update. Worked perfectly! I did have to open in browser as the instructions warned I might have to do. But it worked! Thank you for the easy, step by step instructions. Now I just need to figure out how to get the add ons I want and need! Ares wizard then add pulse build. help….I have the program but not the movies; that the only way I can explain it…..I was following the u tube video and somewhere; actually when he named the path is where I got lost…can u help me??? Also if I erase kodi and the files that are there will that allow me to install kodi? i followed those instructions but got a message “App not installed”. Can anyone advise why and what I need to do to install kodi??? I get the same message when trying to install anything. Someone said reset to factory device and then do it. Idk looking for alternate options before i do that.. If you are using the original fire TV stick and you want to install Cody where are the instructions for that install? Also, can you initiate the install on and iOS device or does it have to be on a Mac or Windows device? I seem to have a newer version (purchased Dec 2016) and although I have made it through the fusion add on, I do not have an “install from zip” option in my menu. So I am now stuck. Is there a “newer ” how to video that addresses the latest version? 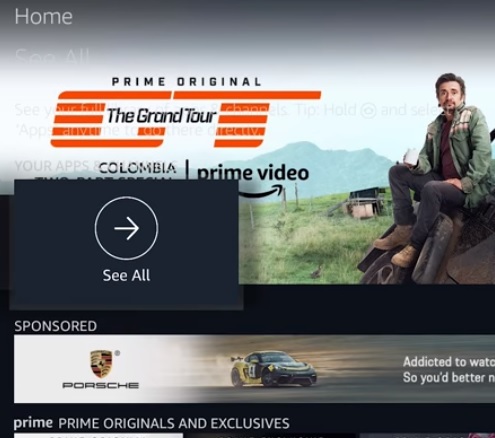 I got as far as clicking on the three dots then got a message that “Amazon Fire TV does not open browser links. try opening URL in the web browser of another device”. How does that help?